UPDATE: West Palm Beach Commissioners give final approval to Okeechobee Business district. West Palm Beach City Commissioners are scheduled to have their final vote on what would become the Okeechobee Business District, Monday. From Okeechobee Blvd. to City Place and the waterfront a proposed zoning change would allow construction on high-end office buildings, but not everyone is on board with the change. Inside Hot Pie Pizza you'll find a guy who came here with a dream of owning a booming business. "9 1/2 years ago because I saw the progress of Miami, Fort Lauderdale and I wanted to catch the wave of West Palm," John Ries said. Over the years he says he's watched downtown West Palm Beach change. "It's had its cycles ups and down," he said. Another change could be coming. Down the street from Ries is the proposed Okeechobee Business District. A plan by the city to rezone the waterfront area along Okeechobee Boulevard and South Flagler Drive to allow the construction of high-end office space. "It will bring people it will bring workers, it will bring diners and maybe possibly more residents," Ries said. But not everyone shares Ries' view. An attorney for the owners of the Esperante building on Lake View says it will hurt the value of other buildings around it. "It unfairly benefits one property which can go from five stories to 25 stories and it does it at the expense of the other neighboring buildings over here." Nat Nason said. Now that the final vote is scheduled for Monday night the the the Town of Palm Beach, Palm Beach County and the Florida Department of Transportation have expressed concerns about the impact of traffic. In a letter to the city FDOT "The city's analysis of the amendment fails to address existing and projected levels of service and facility needs on Okeechobee Boulevard." However, the city believes creating the district will actually reduce potential development and traffic. "We are actually reducing potential development and potential traffic, while at the same time encouraging more Class-A office space. The OBD would be good for our City and have a positive impact on the region,” Jeri Muoio, Mayor said. The President of the Business Development Board Kelly Smallridge says the business district would help the area. 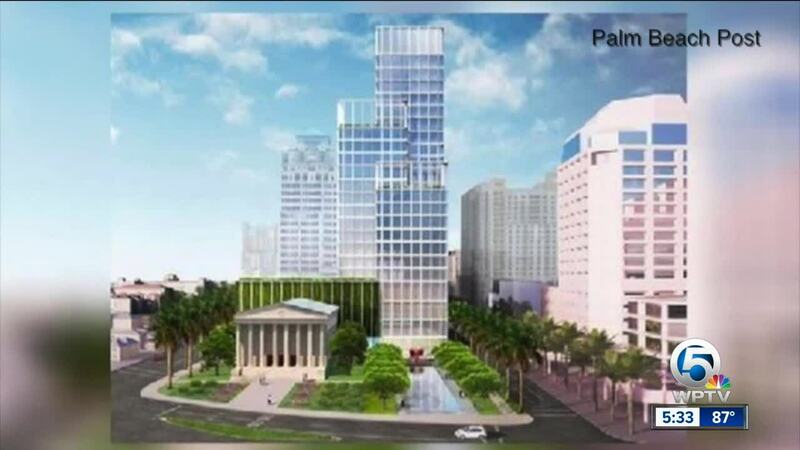 "Yes traffic is an issue that we also take a look at we are residents of Palm Beach County as well however these plots of land that are zoned commercial are going to have some sort of commercial construction and business on them anyway way not work on bringing something that is good quality growth for downtown," Smallridge said.